The RCMP is planning ‘an act of war’ to remove Indigenous protesters from blocking construction of a natural gas pipeline in northwestern B.C., says one of the clans involved. The clan that has been maintaining a checkpoint keeping Coastal GasLink, a subsidiary of TransCanada Corp., off traditional Wet’suwet’en Nation territory south of Houston, B.C. posted a message on Facebook Saturday that police are planning to ‘forcibly remove’ them. “(They) indicated that specially trained tactical forces will be deployed to forcibly remove Wet’suwet’en people from sovereign Wet’suwet’en territory,” said a post on the Gidimt’en clan Facebook page. 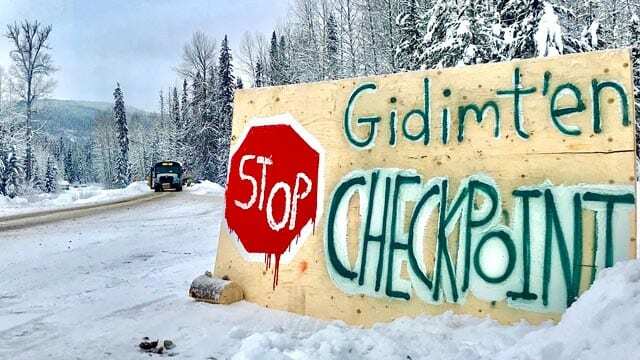 The Gidimt’en post said they met Friday with members of the RCMP Aboriginal Police Liaison unit and learned action to enforce a court injunction is imminent. But no further details were given, the Gidimt’en said. “By rejecting the requests for information… the RCMP indicated that they intend to surprise and overwhelm the Wet’suwet’en people who are protecting their territories on the ground,” the post added. The checkpoint is 20 kilometres from the Unist’ot’en Camp. It was established 10 years ago along the route of three proposed pipelines, including the one Coastal Gaslink is building, in an effort to stop them. It has since become a land-based wellness centre on the shores of the Morice River, close to the pipeline route. The pipeline will carry fractured natural gas from Dawson Creek 647 kilometres to coastal Kitimat where it will be processed and shipped. Camp members have the support of five hereditary chiefs in rejecting fossil fuel development and that’s why they have refused to allow Coastal GasLink employees to cross the Morice River bridge. The company turned to the courts and won an interim injunction on Dec. 14 giving it access to the bridge across the Morice River and one kilometre down the road from the camp where the pipeline will run. The injunction gives the RCMP the power to back up the court order. The company has said in previous correspondence with APTN News that it only wants access to its construction camp and is not asking for the camp to be cleared. B.C. Supreme Court Justice Marguerite Church agreed work should not be delayed further on the $40 billion construction project. Both sides are due back in court in late January. But the Gidimt’en believe the RCMP will move in before then. “In these injunction decisions, the court gives the order, and then the police determine how to implement the court’s direction within a reasonable time,” RCMP spokesperson Cpl. 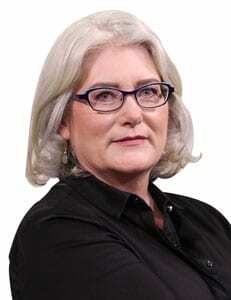 Madonna Saunderson said in an email to APTN. A spokesperson for Coastal GasLink did not immediately respond to a request for comment. The elected chiefs and councils of the five Wet’suwet’en bands have approved the pipeline. Information: The important lesson I learned for 2018 is to always analyze the website (who owns it) the author (who are they) and the history of both to discover where the money is. In addition, Wikipedia is a very manipulated source for information. I use it to get an idea of the manipulations rather than factual information. One thing I found very informative is to click on the history tab of a Wikipedia article. There I can see the contributors and when they posted. Even more interesting is to check out the contributors. I found it very interesting to see an article about climate change edited by someone with no scientific background. We cannot be lazy when it comes to getting accurate information. This guy edits Hillary Clinton’s Wiki page. – Keeps it clean of anything negative. News: David Blackmon is an independent energy analyst/consultant based in Mansfield, TX. David has enjoyed a 39-year career in the oil and gas industry, the last 23 years of which were spent in the public policy arena, managing regulatory and legislative issues for various companies, including Burlington Resources, Shell, El Paso Corporation, FTI Consulting and LINN Energy. So, his article would of course be biased in favor of the oil industry. Hemp is an amazing plant! Indigenous people around the world have had to deal with climate change for many centuries. They are a vital source of knowledge about our climate crisis. Great news! ASSOCIATED PRESS Deb Haaland is one of two Native American women who will now serve in Congress. It took only 229 years. Yesterday (October 8) was Indigenous People’s Day 2018 and over 60 cities across Turtle Island celebrated with parades, dances, song and concerts. One major draw was the day’s celebration in Los Angeles, where the Black Eyed Peas and Redbone combined efforts for a grand slam occasion. Salitral, Santa Ana, Costa Rica.